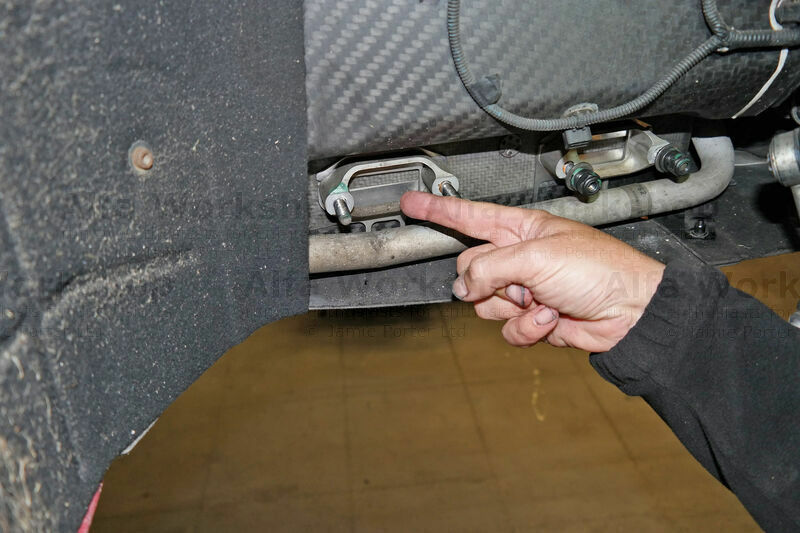 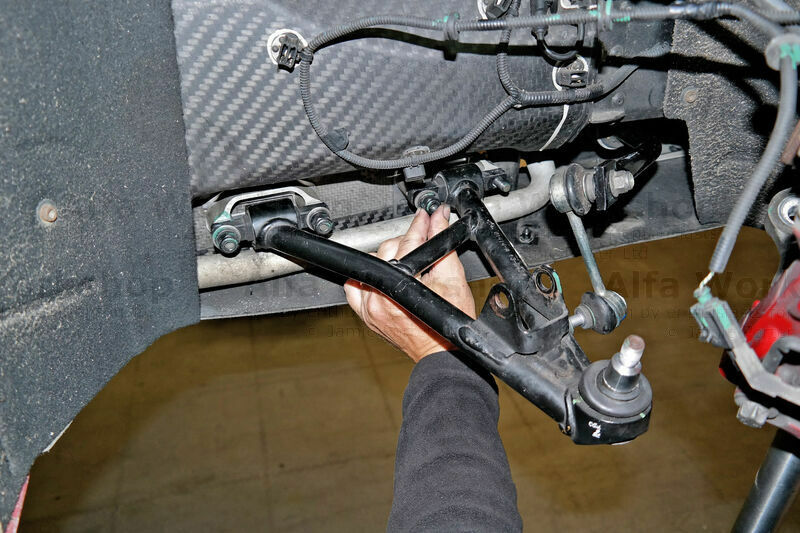 Jack up car carefully and remove front road wheel, it is essential that you jack up the car using the correct jacking points to avoid damaging the chassis, this is more relevant for the front jacking point where the jack is directly on the carbon tub. 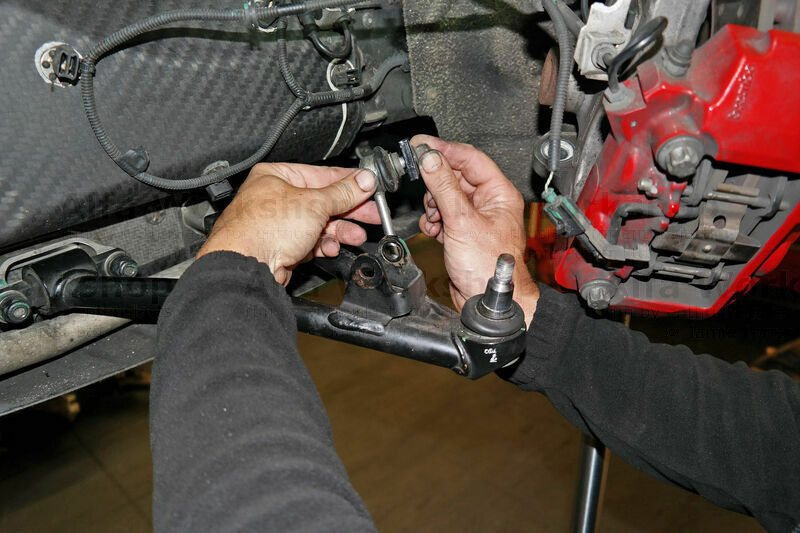 Once the car is up in the air and safe undo the outer ball joint nut and then use a proprietary ball joint splitter to remove the wishbone from the upright. 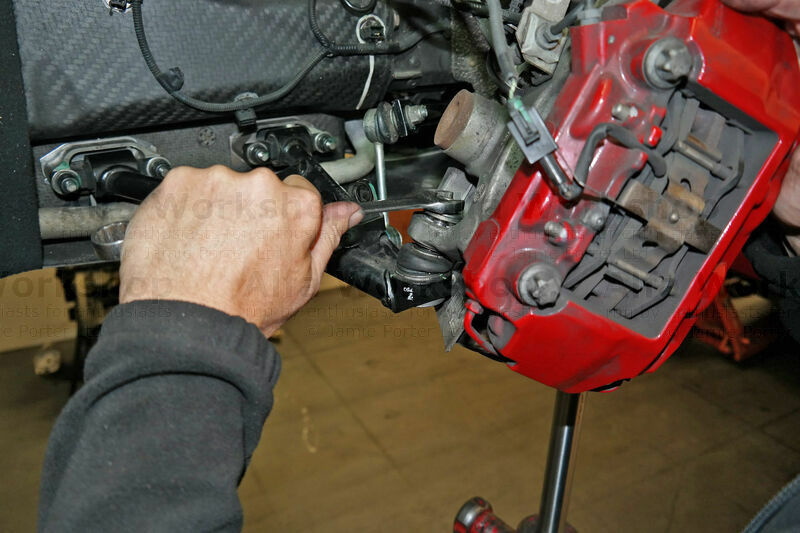 Undo the 4 nuts that secure the wishbone to the chassis and remove the wishbone.